Nadia Schadlow, the White House deputy national security adviser for strategy, has resigned and will leave her position at the end of this month. White House spokesman Raj Shah on Wednesday released a statement thanking Schadlow, who will remain in her role until April 27, for her service, CNN reported. "The administration thanks Dr. Schadlow for her service and leadership in crafting the president's ‘America First' national security strategy," Shah said. "The strategy has set a strong foundation going forward for protecting the homeland, promoting American prosperity, preserving peace through strength, and advancing American influence. We wish Nadia and her family the best." In her resignation letter, Schadlow thanked President Donald Trump for "the opportunity to serve you and the American people." "Together, we captured your vision for a strong and confident American and developed your America First National Security Strategy—which turned that vision into a strategic direction for your administration," she wrote. "And I am particularly proud that you were able to submit your NSS to Congress earlier than any previous administration…on time and under budget!" Schadlow also said that she was "proud to work with LTG H.R. McMaster and the National Security Council team." Schadlow is the third senior national security official to resign or be pushed out after John Bolton officially replaced Lt. Gen. H.R. McMaster as Trump's national security adviser this week. Individuals close to the National Security Council have for weeks expected that Schadlow, who was a close adviser to McMaster, would leave her post after Bolton entered the White House, CNN noted. News of Schadlow's resignation comes one day after White House homeland security adviser Tom Bossert resigned from the Trump administration, and three days after National Security Council spokesman Michael Anton also resigned under pressure. 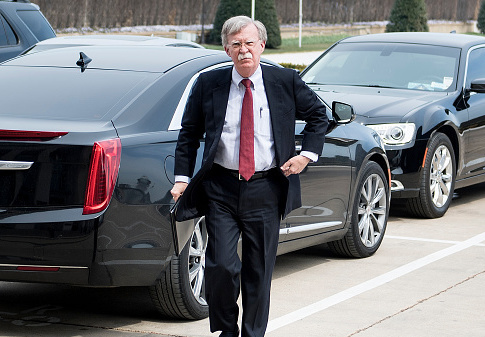 Bolton has yet to name any new senior staff to the National Security Council but is said to be assembling a team. This entry was posted in National Security and tagged H.R. McMaster, John Bolton, National Security Adviser, Resignation, Trump Administration. Bookmark the permalink.